As temperatures drop, you're reminded that Old Man Winter will soon rear his ugly head. Before the first flurries fly, it's important to take some winterization steps to ensure your home is ready for whatever the season brings. If you find some gaps, it's important to seal them quickly. Apply caulk to the openings to prevent cold air from seeping in, helping to cut down on heating bills. Plus, you won't have to worry about bugs making your home their hibernation haven. Note: never caulk above or below the window and door openings, as this may block moisture drainage. To preserve your deck's luster, start by cleaning it with a warm, soapy solution and a soft-bristle brush. Do not power wash as this can damage the wood. It's important that you remove all dirt and debris from the surface as well as in between the boards to improve ventilation. Next, inspect the deck for mold. If present, wash the deck with a mild oxygen bleach solution and leave on the surface for 30 minutes before rinsing thoroughly. Finally, remove anything that might leave marks on the deck's surface such as furniture, planters and mats. 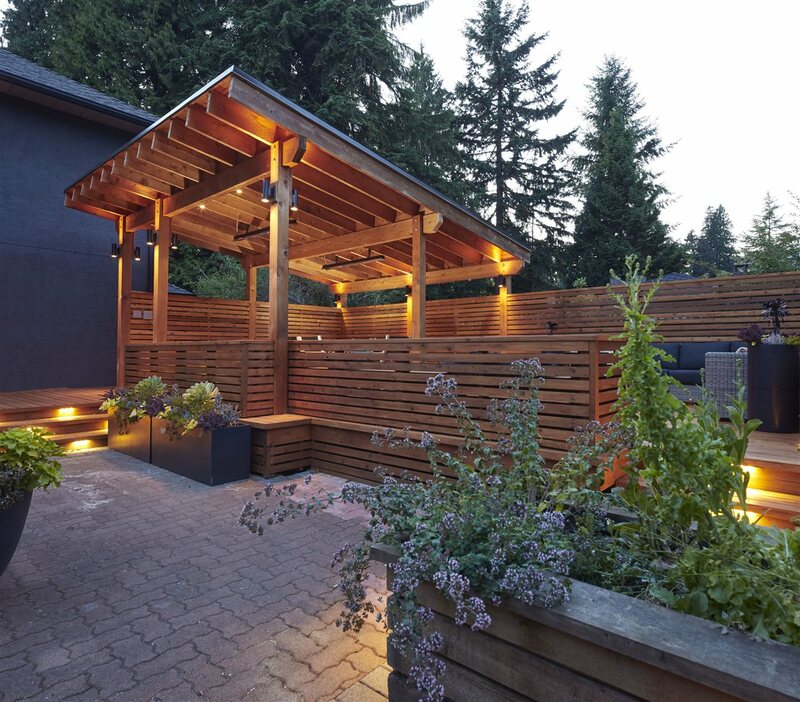 The majority of planter boxes are made with Western Red Cedar. That's because the wood is naturally resistant to rot, decay and insects; and therefore doesn't require treatment from potentially dangerous chemicals that can leach into soil and plants. But like all garden beds, real cedar planters need protection during the winter months. Start by removing all soil and cleaning the boxes as you did the deck. Then, if possible, store emptied planters in a garage, shed or under the porch. If you don't have the space to store them this way, then cover them with a water-repellent tarp to protect from moisture buildup, but don't seal the tarp. As with decks, it's very important that you allow for proper ventilation. Eliminate this risk by removing any dead trees or dangerous branches now before the first snow. Be safe by using the proper equipment for tree trimming and removal, or consider hiring a pro to do so. Remember, an ounce of prevention is worth a pound of cure, and handling this issue now could prevent costly damage to your home down the road.